Beautiful GPO 162F dated 1935 with thinner base and no drawer unit. 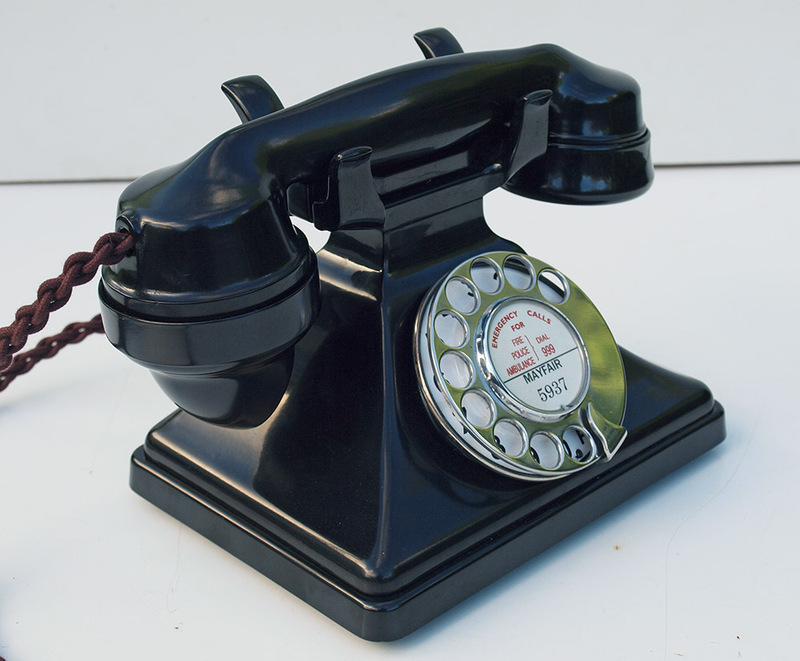 This beautiful GPO telephone has been totally stripped down and rebuilt after each part has been cleaned and polished. 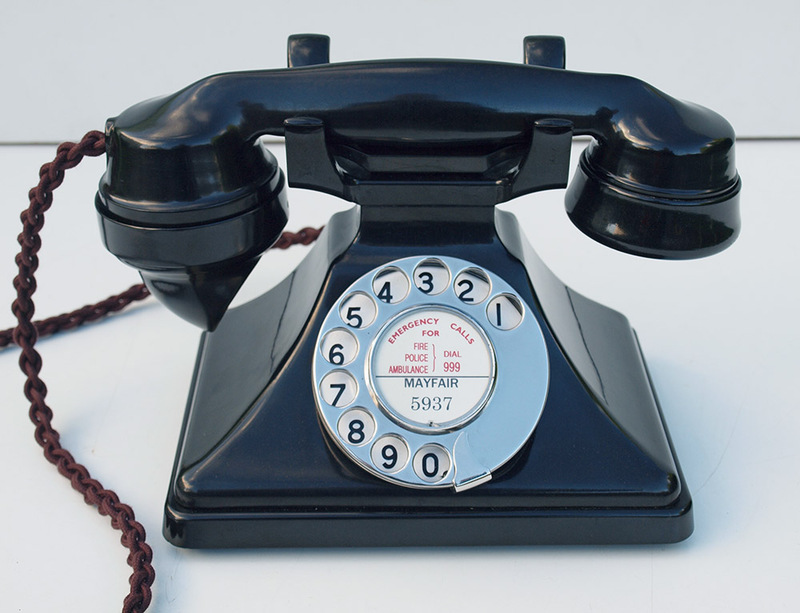 It has been fitted with a very best quality all British manufactured hand plaited braided handset cord, a quality heavy duty "D" shaped plastic line in cord hand made by me and a best quality electronic microphone. 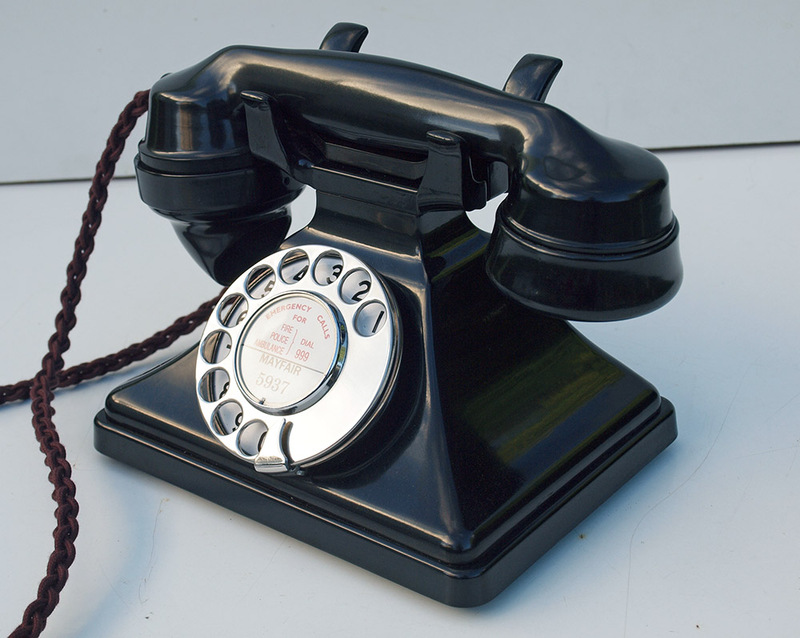 This telephone has the original lead weighted base and is fitted with a small internal bell to eliminate the need for an external bell set. This bell is not very loud but has a nice mechanical gentle sound and is ideal for a bedroom etc. Note the original GPO No10 enamel faced dial and the original earlier 162 cradle model. 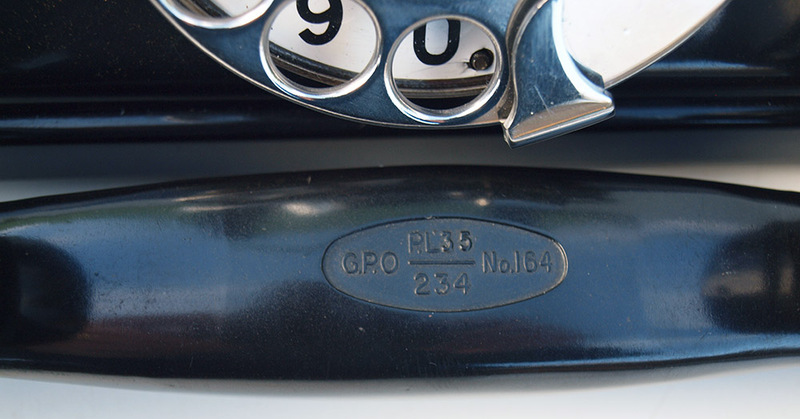 The internals have been upgraded to the later GPO 232 internals to allow perfect modern use as this cannot be achieved with the original internals. I have also upgraded the receiver to the later 1950s model to allow it to work to modern standards. I can make a dial label with your own personal information. This information can be added in the check out system.